Do you have whiplash pain? Want to get better? You can! Do you have whiplash pain? Have you been in a car accident and been rear ended or hit from the side? You don't need to be in a car accident to have whiplash; I had whiplash as a child when I fell head first off my bike at age 6 and knocked my 2 front teeth out. 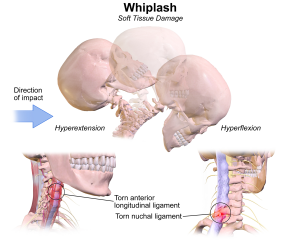 Whiplash can cause significant pain. 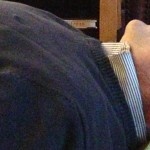 You may have headaches, neck pain, upper back pain, shoulder pain and tingling in your arms. Whiplash hurts; the sooner you get treatment, the sooner you will feel better. How can physical therapy help? Our physical therapists can massage injured muscles, for example, the muscles pictured to the right. We will also give customized gentle exercises to get your muscles back on the path to recovery. 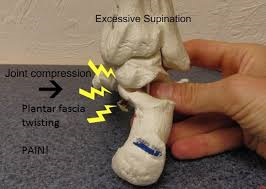 Other treatments designed to reduce the pain such as ultrasound, electric stimulation and cold laser can be provided. We can coordinate care with other providers such as acupuncturists, chiropractors, and massage therapists as needed. At Comstock Physical Therapy the Muscles In-Sync approach reduces muscle spasms, increases mobility and increases strength. 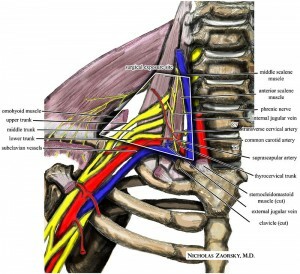 Science tells us with whiplash the core muscles in your neck become out of sync or out of order. They need to be retrained to contract in the right order, then strengthening will be a lot less painful and your results will last. Why is there a need for a "special" training program? 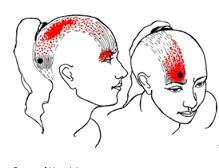 If you have whiplash the normal sequence of the muscles contracting becomes disordered. Normally the core muscles contract to make your neck stable, then large muscles (sternocleidomastoid and scalenes) pull on the neck to rotate it or pull on your neck as you lift your arm.
) 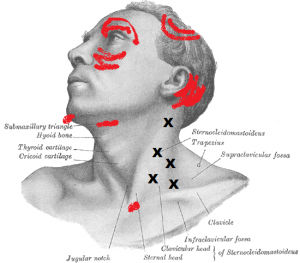 keep contracting, which causes headaches (see the headache referral pattern for sternocleidomastoid) and arm tingling and pain (see the scalene brachial plexus picture below). We will massage these muscles to help them relax and retrain. >What can you try at home to help this pain? Nod your head in little tiny nods, like you are nodding "yes" to getting better. Also, ice is helpful after you first hurt your neck and heat for stiff muscles. Give us a call at 360-455-8014 to schedule an appointment to get relief from your whiplash pain! WHY, WHY, WHY does my pain keep coming back? I go to my doctor and get pain medications yet the pain returns. I go to a health care practitioner and feel somewhat better, get a standard protocol for certain exercises, or some other treatment, then my pain returns. I garden on my hands and knees, weeding for a few hours and get a headache that night AGAIN! I have pain in my heel that comes on for no known reason, and get a cortisone shot, and still have pain. I have wrist pain and can't fully bend my wrist forward and I have weak grip. Probably an old injury or a bad habit of movement. What to do? 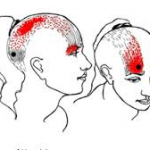 To help the headache, strengthen the muscles which lift and support the shoulder blades; that will take strain off the other shoulder blade muscles which connect to the head and cause the headache. 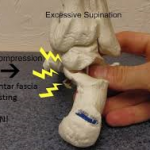 To help the foot pain, have your physical therapist stretch the heel bone away from the ankle bones to take pressure off the plantar fascia. To help the wrist pain have your physical therapist give you a specific exercise to strengthen bending and twisting your wrist up and in. In short, Comstock Physical Therapy is here to help you help yourself by diagnosing the exact problem and giving you the exact exercise program you need to fix your problem!